An Earth science space instrument that will measure air pollution over North America has successfully completed development by Ball Aerospace and Technologies Corp. in Boulder, Colorado and has been formally accepted by NASA. NASA has taken over ownership of the Tropospheric Emissions: Monitoring of Pollution, or TEMPO, flight hardware, but the instrument will remain in storage at Ball while a host spacecraft is selected. 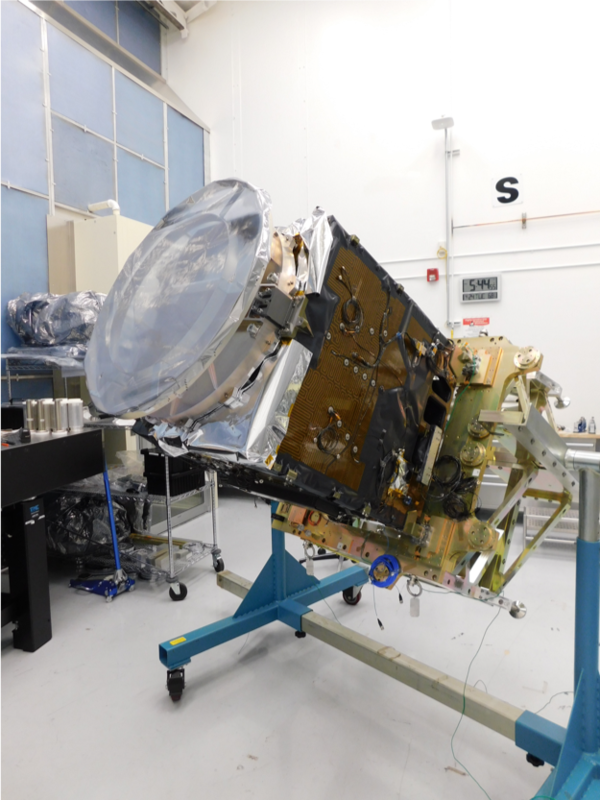 While awaiting a ride on a host commercial spacecraft, the TEMPO instrument will be kept in a cleanroom storage area at Ball Aerospace in Boulder, Colorado. 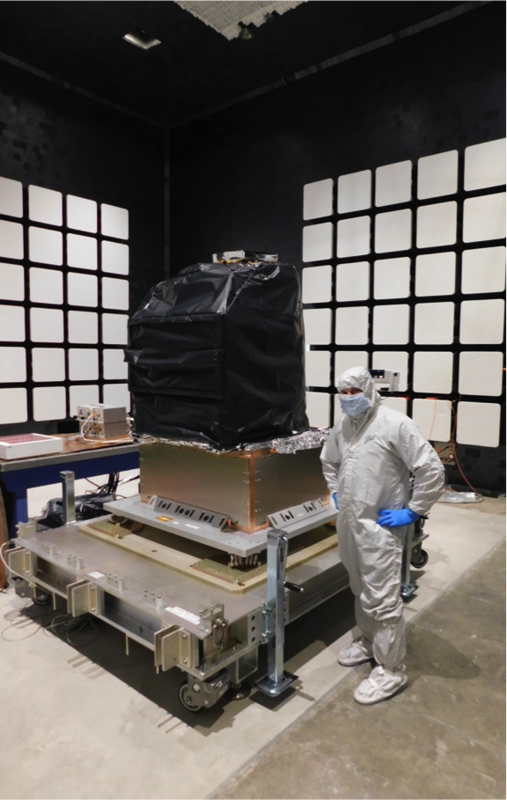 The Tropospheric Emissions: Monitoring of Pollution (TEMPO) instrument will make observations from a geostationary vantage point, about 22,000 miles above Earth's equator, flying on a commercial satellite.To accomplish this, TEMPO has partnered with the U.S. Air Force’s Space and Missile Systems Center in El Segundo, California, and will employ their Hosted Payload Solutions (HoPS) contract. Proposals have been requested from the 11 commercial companies associated with the HoPS contract. "The completion of characterization and calibration of the TEMPO spectrometer is a critical milestone in the development of our fundamental atmospheric pollution mission, which is a result of collaboration among Ball Aerospace, NASA's Langley Research Center, and the Smithsonian Astrophysical Observatory" said Kelly Chance, TEMPO Principal Investigator, Smithsonian Astrophysical Observatory. "Together, we are all looking forward to the next steps on the way to providing hourly atmospheric pollution measurements for greater North America." TEMPO has now passed the Critical Design Reviews for the instrument (June 24-25 at Ball Aerospace & Technologies Corp. in Boulder, CO) and the Ground System (May 3-4 at SAO in Cambridge, MA). The instrument is well on the way to being fabricated and characterized by Ball, with an expected completion and delivery date in mid calendar year 2017. 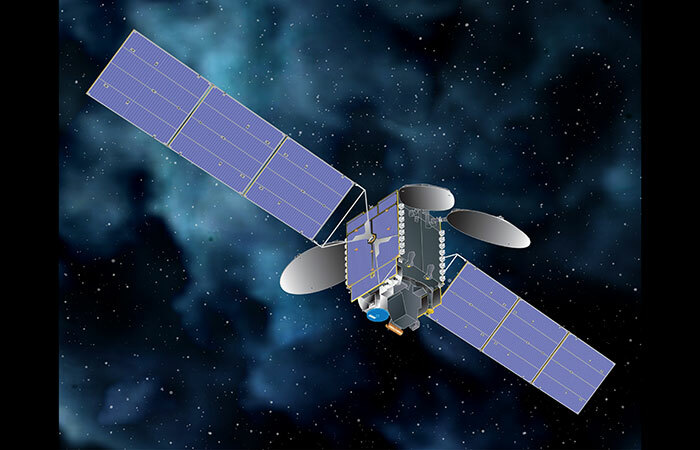 The Ground System, consisting of the Instrument Operations Center and the Science Data Processing Center, located at SAO, will be completed and fully operational in time for the earliest possible launch date, November 2018. It was confirmed by NASA's Science Mission Directorate to continue into Phase C of the project, in which the team completes the design that meets science and measurement requirements, fabricates the instrument, and develops the ground system.